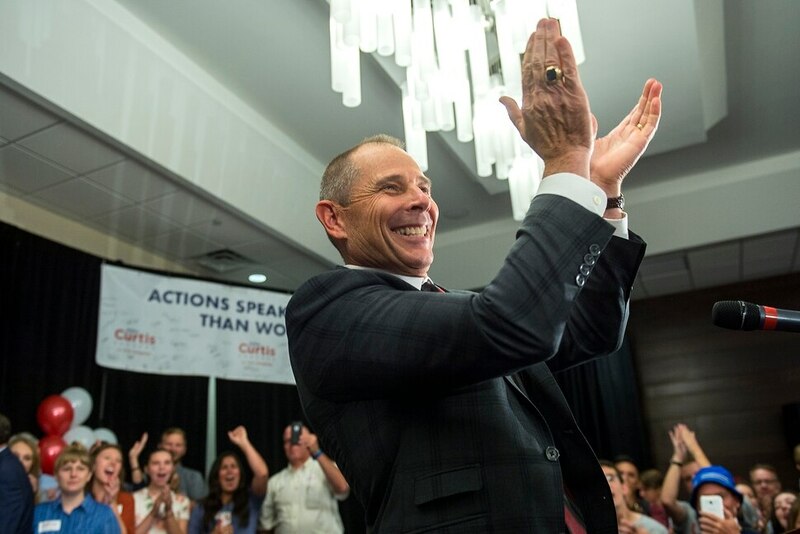 There are still ballots to count, but barring some drastic change John Curtis was not the only winner in the Republican 3rd District primary to replace former U.S. Rep. Jason Chaffetz. 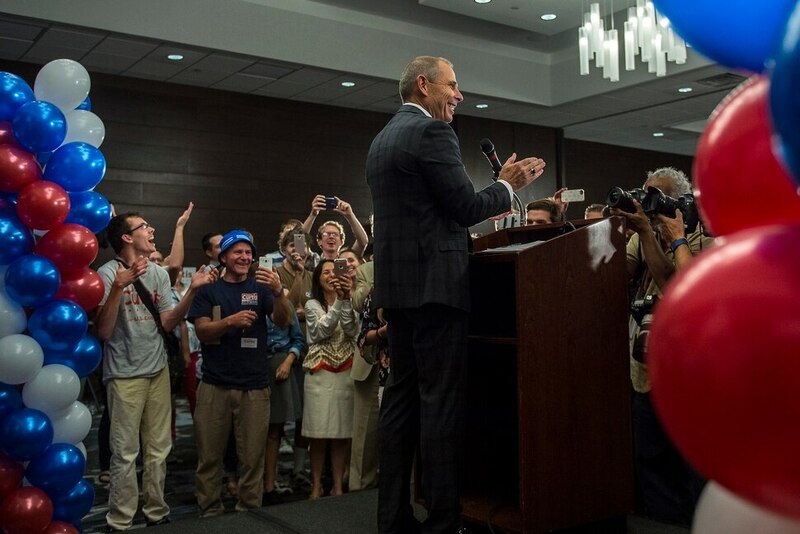 Yes, the Provo mayor, who held an early lead in most polls appears to have withstood a barrage from his opponents and their out-of-state supporters to advance to the special election in November against the Democratic nominee, Dr. Kathie Allen, and Jim Bennett of the newly formed United Utah Party. It’s worth noting that either Curtis or Allen would be the first Democrat to represent Utah County in Congress since Bill Orton. OK, that’s not true. But Curtis’ Democratic past — he was the Utah County party chairman and ran for Senate as a Democrat in 2000 — provided mountains of ammunition for his Republican opponents, Chris Herrod and Tanner Ainge. It also put him in the crosshairs of the Club for Growth, the conservative Washington, D.C., political action committee that pumped hundreds of thousands of dollars into scurrilous, deceptive ads. They made Curtis and Ainge look like devils, in one ad actually throwing in cartoon bats and pumpkins for effect, and twisted the truth to make it look like the Deseret News called Herrod “the Ronald Reagan of the 3rd District Race.” The paper never said that. It was an opinion piece by a Herrod supporter. In the end it was Curtis, who, like Reagan, was once a Democrat, who prevailed. And groups like the Club for Growth, Senate Conservative Fund and National Horizon — funded almost exclusively by Ainge’s mom — that spent nearly a million dollars and came away decisive losers. But the biggest loser of this primary election is those Republicans clinging to the old method of letting a small group of delegates choose nominees at the party’s conventions. Critics of the convention system have said for years that it gives too much power to ideologues and the fringes in both parties and produces candidates and elected officials who don’t represent the people. Count My Vote and its compromise with the Legislature in Senate Bill 54 were supposed to change that, allowing candidates to collect signatures to get to the primary, and it had been slowly having its intended effect. In 2016, Gov. Gary Herbert narrowly survived a delegate revolt at convention and went on to trounce his opponent in the Republican primary. But until Tuesday there had only been one race where a candidate who lost at convention also gathered signatures and went on to win the primary — that was Randy Elliott who won a Davis County Commission race last year. Perhaps because he was still stinging from his harsh treatment by delegates, Herbert dug in his heels and went to battle with the Legislature over the 3rd District special election, demanding a way for candidates to collect signatures to get to the primary ballot — a path both Curtis and Ainge took. Tuesday’s decisive win by Curtis, who finished a distant fifth at the convention, lays bare not only the total disconnect between the convention delegates and actual Republican voters in the district, but also shows that candidates no longer have to surrender their principles and dance like trained monkeys for the frothing arch-conservative delegates. Consider this: When you combine the Curtis voters with the votes received by Ainge, who didn’t even bother going to convention, seven out of 10 Republican primary voters cast ballots against the overwhelming convention winner. It’s a stunning repudiation of a system that had been begging to be blown up. 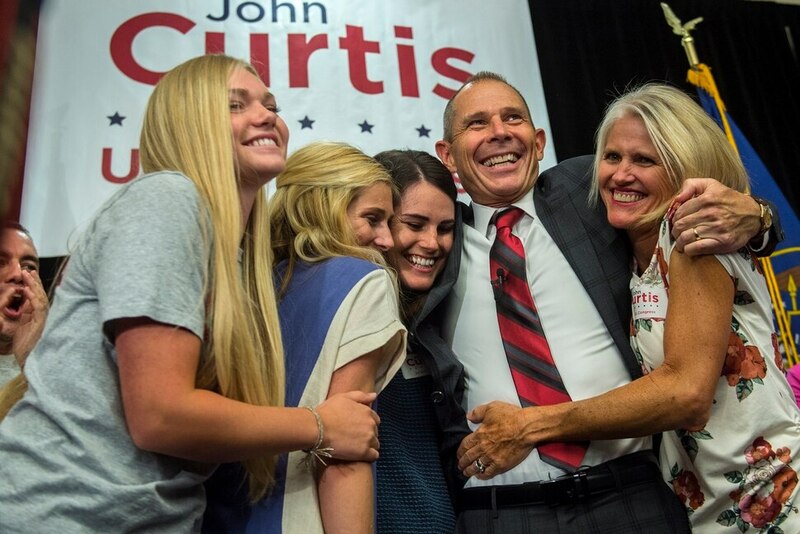 So, yes, John Curtis won the primary Tuesday. But by rejecting attempts by out-of-state interests to buy a congressional seat and by hopefully tearing down once and for all the arcane, anti-democratic nominating conventions, the 3rd District voters helped to ensure that Utah voters have a clear, decisive voice in choosing their elected representatives. And in that sense, regardless of party or preferred candidate, we all can celebrate a victory.